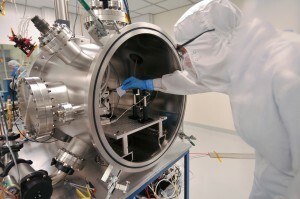 Engineering products that will endure the extremes of the space environment is a challenge. Engineers need to test and condition their instruments and components to ensure that they will function properly when exposed to designated temperatures, humidity levels, radiation levels, acceleration, acoustic levels, and other conditions. 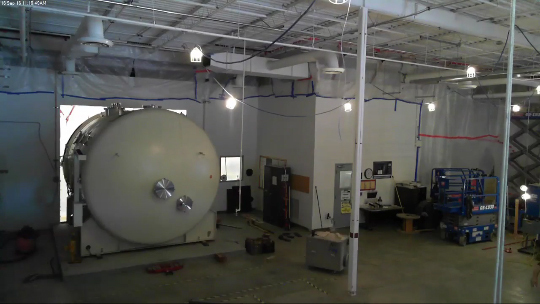 To perform this pre-flight testing, LASP uses vacuum test chambers. LASP has ten vacuum systems for environmental testing and conditioning of space instruments. Oil-free roughing pumps and the cleanliness of the systems is monitored with Residual Gas Analyzers and Thermo-Electric Quartz Crystal Micro Balances.